The hacker who stole $12 million worth of virtual poker chips from Zynga has been sentenced to two years in the slammer. 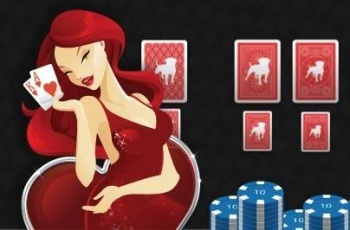 It was back in early February that we first heard about Ashley Mitchell, a 29-year-old chap from the U.K. who hacked into Zynga Poker servers and stole billions of virtual poker chips worth a handsome $12 million. He then turned around and started selling them to Zynga Poker players on eBay at a deep discount, unloading about a third of them for roughly $85,700 before he was busted. He pleaded guilty to four counts of "converting criminal property" and one count of "securing unauthorized access to a computer with intent to commit an offense," and claimed he was struggling with a gambling addiction that had cost him nearly $5000 on various online games. Throwing himself on the mercy of the courts doesn't seem to have done him much good, however, as yesterday he was slapped with a two-year jail term. "People rely on computer systems," said Exeter Crown Court Judge Philip Wassall. "Anyone who has managed to get into these systems for their own ends should expect a stiff sentence." Mitchell is also facing another 30 weeks inside for breaching a suspended sentence handed down in 2008 for hacking into his former employer's computer and stealing roughly $5700.